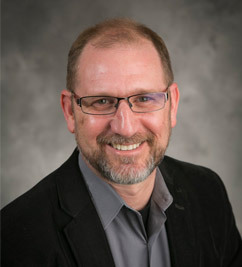 David Williamson Shaffer is the Vilas Distinguished Professor of Learning Sciences at the University of Wisconsin-Madison in the Department of Educational Psychology, with a focus on Learning Analytics, and a Data Philosopher at the Wisconsin Center for Education Research. Before coming to the University of Wisconsin, Professor Shaffer taught grades 4-12 in the United States and abroad, including two years working with the US Peace Corps in Nepal. His M.S. and Ph.D. are from the Media Laboratory at the Massachusetts Institute of Technology. Professor Shaffer taught in the Technology and Education Program at the Harvard Graduate School of Education, and was a 2008-2009 European Union Marie Curie Fellow. Professor Shaffer studies how to develop and assess complex and collaborative thinking skills, with a particular interest in how students understand complex environmental issues. He is the author of How Computer Games Help Children Learn and Quantitative Ethnography. Chesler, N., Ruis, A.R., Collier, W., Swiecki, Z., Arastoopour, G., & Shaffer, D.W. (2015). A novel paradigm for engineering education: Virtual internships with individualized mentoring and assessment of engineering thinking. Journal of Biomechanical Engineering. 137(2). Shaffer, D.W. (2015). Jogos epistemicos: Espacos virtuais para o exercicio do profissionalismo. In L. Alves and J. Nery (Eds. ), Jogos eletronicos, mobilidades, e educacoes: Trilhas em construcao. EDUFBA. Andrist, S., Collier, W., Gleicher, M., Mutlu, B., & Shaffer, D.W. (2015). Look together: Analyzing gaze coordination with Epistemic Network Analysis. Frontiers in Psychology. 6(1016). Arastoopour, G. (2014). Epistemic persistence: A simulation-based approach to increasing participation of women in engineering. Journal of Women and Minorities in Science and Engineering. 20(3), 211-234. Bagley, E., & Shaffer, D.W. (2014). Stop talking and type: Mentoring in a virtual and face-to-face environment. Journal of Computer Assisted Learning. Chesler, N., Shaffer, D.W., Arastoopour, G., D’Angleo, C., & Bagley, E.A. (2013). Design of a Professional Practice Simulator for Educating and Motivating First-Year Engineering Students. Advances in Engineering Education. 3(3), 1-29. Knight, S., Arastoopour, G., Shaffer, D.W., Shum, S.B., & Littleton, K. (2013). Epistemic networks for epistemic commitments. Technical Report KMI-13-03. Knowledge Media Institute, Open University. Nash, P., & Shaffer, D.W. (2013). Epistemic trajectories: Mentoring in a game design practicum. Instructional Science. 41(4), 745-771. Shaffer, D.W., & Gee, J. (2012). The right kind of GATE: Computer games and the future of assessment. In M. Mayrath, D. Robinson, & J. Clarke-Midura (Eds. ), Technology-Based Assessments for 21st Century Skills: Theoretical and Practical Implications from Modern Research, (pp. 211-228). Information Age Publishing. Shaffer, D.W., Hatfield, D.L., Svarovsky, G.N., Nash, P., Nulty, A., Bagley, E., Franke, K., Rupp, A.A., & Mislevy, R. (2009). Epistemic network analysis: A prototype for 21st century assessment of learning. International Journal of Learning and Media. Shaffer, D.W. (2007). How computer games help children learn. New York, NY: Palgrave. Shaffer, D.W. Epistemic frames for epistemic games. Unpublished Manuscript, University of Wisconsin, Madison. 22(3), 223-234. Shaffer, D.W. (2005). Video games and the future of learning. University of Wisconsin-Madison , Wisconsin Center for Education Research. Shaffer, D.W. (2004). Pedagogical praxis: The professions as models for post-industrial education. Teachers College Record. 106(7), 1401-1421. Shaffer, D.W., & Serlin, R. What good are statistics that don’t generalize? Unpublished Manuscript, University of Wisconsin, Madison. 33(9), 14-25. Shaffer, D.W., & Kaput, J.J. Mathematics and virtual culture: An evolutionary perspective on technology and mathematics. Unpublished Manuscript, University of Wisconsin, Madison. Shaffer, D.W., & Resnick, M. Thick authenticity: New media and authentic learning. Unpublished Manuscript, University of Wisconsin, Madison. 10(2), 195-215. Shaffer, D.W. (1995). Exploring trigonometry with the geometer’s sketchpad. Berkeley, CA: Key Curriculum Press. Shaffer, D.W. (in press). The bicycle helmets of “Amsterdam”: Computer games and the problem of transfer. Games, Learning, and Society: Learning and Meaning in the Digital Age. Cambridge University Press. Shaffer, D.W. (2015). ENA as theory-based learning analytics, Computer Supported Collaborative Learning Conference. Shaffer, D.W. (2015). Multimodal ENA, JENlab Research Meeting. Shaffer, D.W. (2015). Virtual internships as authentic STEM experiences, National Research Council Convocation on Discovery-Based Research Experiences for Undergraduates. Shaffer, D.W. (2015). Land Science, UW/Native Nations Summit on Environment and Health. (2015). Virtual internships and STEM cyberlearning, University of Exeter. Shaffer, D.W. (2014). Automated mentoring and virtual internships, Army Research Lab Meeting on Authoring Tools and Expert Modeling Techniques. Shaffer, D.W. (2014). Epistemic network analysis, Educational Data Mining Conference. Shaffer, D.W. (2014). Epistemic network analysis, University of Wisconsin-Madison. Shaffer, D.W. (2014). Epistemic network analysis, Learning Analytics and Knowledge Conference. Shaffer, D.W. (2014). The art and science of visual communication, Philosophy Institute workshop, The Spencer Foundation. Shaffer, D.W. (2014). ENA and quantitative ethnography, UW Action Research Core meeting. Shaffer, D.W. (2014). Virtual internships, University of Wisconsin-Madison. (2014). Virtual internships: Cyberlearning and cyberassessment of 21st century thinking, Texas A&M University. Shaffer, D.W. (2014). Pedagogy, data, and theory: The Nicene Creed of Education, Wisconsin Center for Education Research 50th Anniversary Conference. Shaffer, D.W. (2013). Epistemic games in the workplace, University of Grenoble, Grenoble, France. Shaffer, D.W. (2013). MOOCs and online gaming in engineering education, Frontiers of Engineering Education Symposium. Shaffer, D.W. (2013). Games for learning and assessment, University of Lyon, Lyon, France. Shaffer, D.W. (2013). Pragmatic epistemology, University of Paris IV-Sorbonne. Shaffer, D.W. (2013). Pragmatic epistemology, University of Lyon, Lyon, France. Shaffer, D.W. (2012). Games and assessment, CRESST Visiting Experts Panel. Shaffer, D.W. (2012). Engineering the future of education, Rice University, Houston, Texas. Shaffer, D.W. (2012). Games to teach and games to test: Developing and assessing innovation, Columbia University. Shaffer, D.W. (2012). Games to teach and games to test: Developing and assessing innovation, International Assocation for Educational Assessment Conference. Shaffer, D.W. (2012). Games to teach and games to test: Developing and assessing innovation, LSI Advances in Learning Lecture Series, Arizona State University. Shaffer, D.W. (2012). Powerpoints that work, Spencer Foundation Invited Seminar. Shaffer, D.W. (2012). Assessment within serious games, TEA Symposium. 2014-2018 – Amount: $3,000,000.00, “Drk–12: Developing And Testing The Internship-Inator, A Virtual Internship In Stem Authorware System,” Awarded By: National Science Foundation, Sponsor Type: Federal, David W. Shaffer, Principal. 2015-2017 – Amount: $50,000.00, “Exploring The Potential Of Virtual Internships For Civic And Media Education,” Awarded By: Spencer Foundation, Jeremy Stoddard, Principal; David W. Shaffer, Co-Principal. 2012-2017 – Amount: $2,500,000.00, “Reese: Measuring Complex Stem Thinking Using Epistemic Network Analysis,” Awarded By: National Science Foundation, David W. Shaffer. 2015-2016 – Amount: $28,000.00, “Interegr 111,” Awarded By: Division of Continuing Studies, University of Wisconsin–Madison, Sponsor Type: University of Wisconsin-Madison, David W. Shaffer, Co-Principal; Naomi Chesler, Principal. 2013-2015 – Amount: $125,000.00, “Rigee: Development Of Innovation Capacity In Engineering Students Through Virtual Internships,” Awarded By: National Science Foundation, Sponsor Type: Federal, Cheryl Bodnar, Principal; David W. Shaffer, Co-Principal. 2012-2015 – Amount: $550,000.00, “Ree: Using A Virtual Engineering Internship To Model The Complexity Of Engineering Design Problems,” Awarded By: National Science Foundation, Sponsor Type: Federal, David W. Shaffer. 2013-2014 – Amount: $150,000.00, “Virtual Engineering Internships For High School Students In Long Beach Unified School District,” Awarded By: The James Irvine Foundation, David W. Shaffer, Principal. 2012-2014 – Amount: $600,000.00, “Tues-Type 2: First Year Virtual Internships To Increase Persistence Of Underrepresented Groups In Engineering: Rescushell And Its Parent Company Rescutek (co-Pi),” Awarded By: National Science Foundation, David W. Shaffer. 2009-2014 – Amount: $3,500,000.00, “Drk12: Automentor: Virtual Mentoring And Assessment In Computer Games For Stem Learning,” Awarded By: National Science Foundation, Sponsor Type: Federal, David W. Shaffer, Principal; Robert Mislevy, Co-Principal; Graesser Arthur, Co-Principal; Kristen Scopinich, Co-Principal. 2009-2011 – Amount: $500,000.00, “Ccli: Professional Practice Simulations For Engaging, Educating And Assessing Undergraduate Engineers,” Awarded By: National Science Foundation, Sponsor Type: Federal, David W. Shaffer, Principal; Naomi Chesler, Co-Principal. Description: Dr. Shaffer was appointed as a Marie Curie European Fellow at Utrecht University for the 2008-2009 academic year. Board of Advisors of a Company. Period of Service: 2013 – Pres.